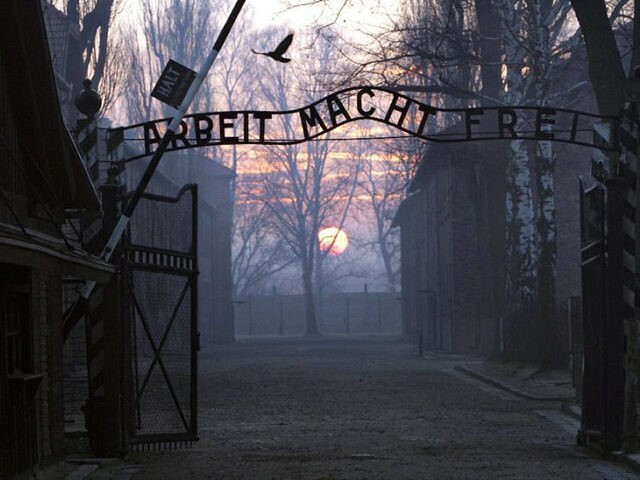 Sixty-six percent of American Millennials between the ages of 18 and 34 years old did not know that Auschwitz was part of the Holocaust, according to a survey released Thursday. The Holocaust Knowledge and Awareness Study, released on Holocaust Remembrance Day, found that many U.S. adults lack basic knowledge of the events that occurred during the Holocaust—and that the lack of Holocaust knowledge was more pronounced among American Millennials ages 18 to 34. One of the more striking findings found that 41 percent of U.S. adults—and 66 percent of U.S. millennials—could not explain that Auschwitz was a concentration camp in Poland where the Nazis detained 1.3 million people and exterminated 1.1 million during World War II. Nearly half of Millennials—41 percent—believed that less than two million Jews had been killed during the Holocaust, even though the actual number of those killed hovers around six million, according to the Conference on Jewish Material Claims Against Germany’s study. “On the occasion of Yom HaShoah, it is vital to open a dialogue on the state of Holocaust awareness so that the lessons learned inform the next generation. We are alarmed that today’s generation lacks some of the basic knowledge about these atrocities,” claims Conference President Julius Berman said in a statement. Although the survey found significant gaps in respondents’ knowledge of the Holocaust, 90 percent of respondents believe that students should learn about the Holocaust while in school. At the same time, 80 percent of the respondents said they have never visited a Holocaust museum. Schoen Consulting conducted the February 23-28 survey of 1,350 U.S. adults by phone and online. The overall poll had a three percent margin of error. Millennials ages 18 to 34 made up 31 percent of the survey respondents and had a five percent margin of error. Despite the grim findings of the survey on Holocaust Remembrance Day, not everyone has forgotten the events that took place at Auschwitz. The presidents of Israel and Poland led 15,000 people from dozens of countries on a march from Auschwitz to Birkenau in Poland for the 30th annual March of the Living to remember the atrocities that took place in those concentration camps decades ago.